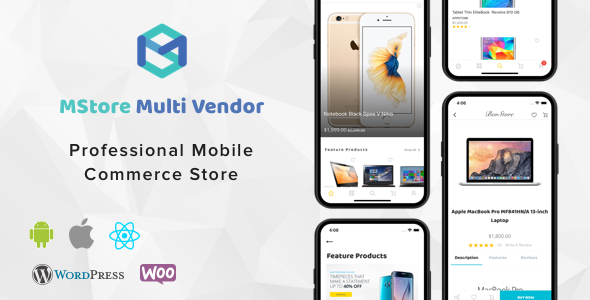 This is new release of MStore product which is supported multi vendor/stores (for any Dokan marketplace template). You are shop-owners of physical stores with high-traffic consumers and think to go digital. Or you are online shop-owners with E-Commerce websites. Both of you want to maximize sale opportunities. You are developers who are challenged to develop store mobile application in shorter time. You question how can MStore help. Here are your answers.